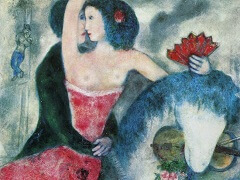 Although Chagall escaped to the United States during World War II, he moved back to France in 1948 and traveled Europe before settling in the French Riviera. During the years that followed, he married a second wife, painted the Paris Opera ceiling, and produced many illustrations, paintings, and ceramics. He continued to weave his life memories and dreams of Paris into his paintings, giving them the surrealist touch. 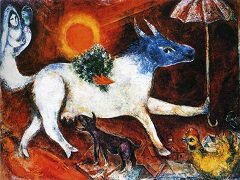 Chagall works are often difficult to categorize, as he pulled his style and inspiration from Cubism, Fauvism, Surrealism, and Modernism. 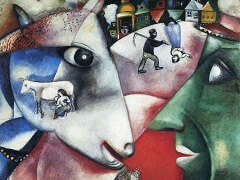 He worked very closely with the Paris School and its staff and students, including the well-known Joan Miro. 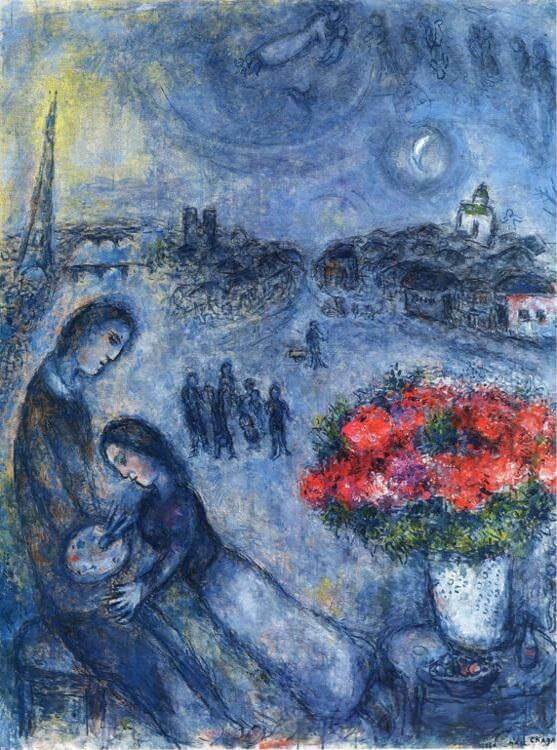 Chagall rose to fame, and his claim to success was not only due to his versatile art styles, but also because of his talent in various media such as paintings, glass, book illustrations, ceramics, and tapestries. He was highly regarded by many critics and even other artists of the time. Picasso, who worked with Chagall on many occasions, is said to have always had high praise for Chagall's understanding of color and lighting. 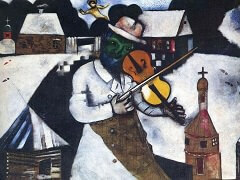 Nevertheless, Chagall's work was not without controversy and criticism. Some believed that the turmoil he endured in his life should have impacted his paintings and made his images more realistic and striking. Others thought that he was cutting himself off from his true Jewish ties and Russian upbringing. 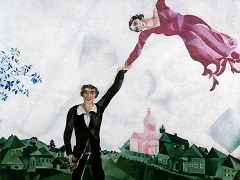 Regardless of his viewers' opinions, Chagall chose to express optimism and a passion for life through his art, using bright and contrasting colors, and distinctive lighting. 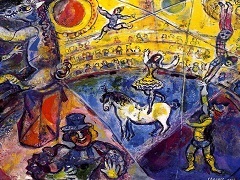 Copyright © 2009-Present www.MarcChagall.net. All Rights Reserved.